Where should you grow next? Where are profitable customers? What factors impact your portfolio? Choosing a new market or your next location is a data-driven decision. To grow successfully, you’ll need analytical expertise to pinpoint locations, trade areas and markets with the greatest sales potential. Bring expansion opportunities into clear focus with powerful site models and advanced profiling techniques that minimize risk and maximize confidence. IDfour’s marketplace experts combine sales, customer information and market data with sophisticated analytics to help make better expansion choices. Develop highly-customized models to accurately define the criteria for new locations. Determine the optimum number of locations that a market will support. 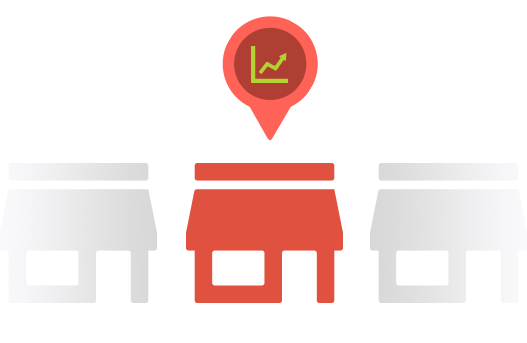 Accurately predict the revenue performance of prospective locations. Define high-value customers by demographic, lifestyle or purchasing characteristics. Analyze portfolio performance to turn underachievers into money-makers. Use data and analytics to guide a winning franchise or retail chain expansion strategy. Avoid the perils of an undisciplined strategy by making informed decisions on where and how to expand. Whether an established brand or a new retail concept, iDfour has the customized tools you’ll need to make your growth venture the next big success story.